DK VIP Membership has 4 levels—Gold Crown,Crown, Diamond and Junior. The level you are in determines the Advantage & privileges you’re entitled to. All buyers are automatically assigned a membership level once they meet the minimum payment requirements (see table below). 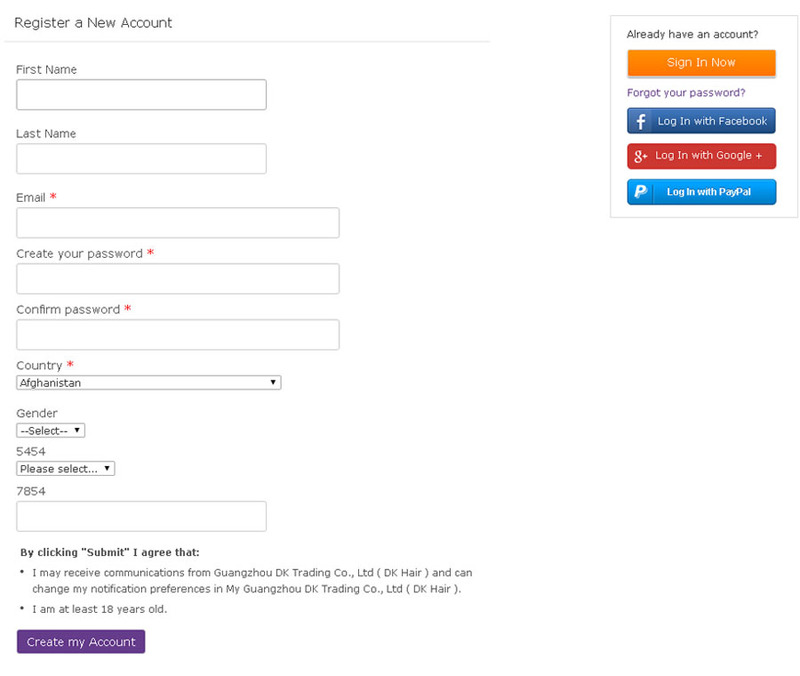 Membership status will be reviewed and renewed everyday based on your trade amount. Qualifications for Gold Crown Level: Your accumulated successful payment amounts reach US $30,000 within 90 calendar days. Qualifications for Crown Level: Your accumulated successful payment amounts reach US $15,000 within 90 calendar days. Qualifications for Diamond Level: Your accumulated successful payment amounts reach US $9,000 within 90 calendar days. Qualifications for Junior Level: Your accumulated successful payment amounts reach US $3,000 within 90 calendar days. Conditions to maintain Gold Crown Level: You will remain a Platinum VIP if your accumulated successful payment amounts reach US $30,000 within 90 calendar days from the day you become a Gold Crown VIP. Conditions to maintain Crown Level: You will remain a Gold VIP if your accumulated successful payment amounts reach US $15,000 within 90 calendar days from the day you become a Crown VIP. Conditions to maintain Diamond Level: You will remain a Silver VIP if your accumulated successful payment amounts reach US $9,000 within 90 calendar days from the day you become a Diamond VIP. Conditions to maintain Junior Level: You will remain a Silver VIP if your accumulated successful payment amounts reach US $3,000 within 90 calendar days from the day you become a Junior VIP. of "Join Free", on the top side of our Home Page. Just as the following image. On the left side of the website,you will see there is a Categories. You can find products in there,it will show you to the right products that you want. 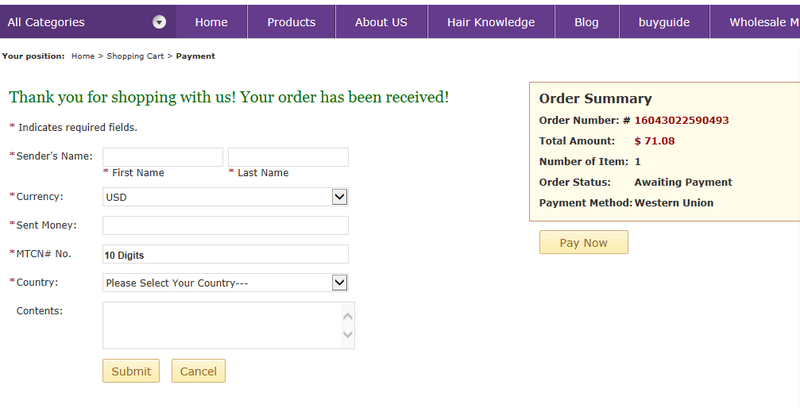 According to buyers needs to choose the hair style, size, quantity, selection add to cart, and then make a payment. 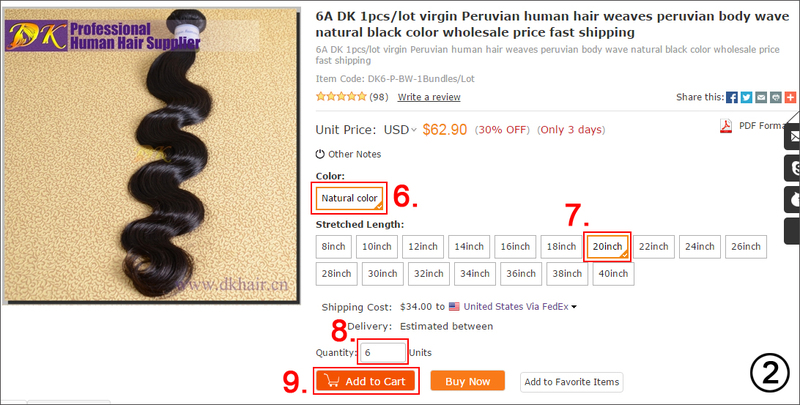 For example: buyers need to buy 5pcs 18 inch and 6pcs 20 inch, you can choose on the product page. 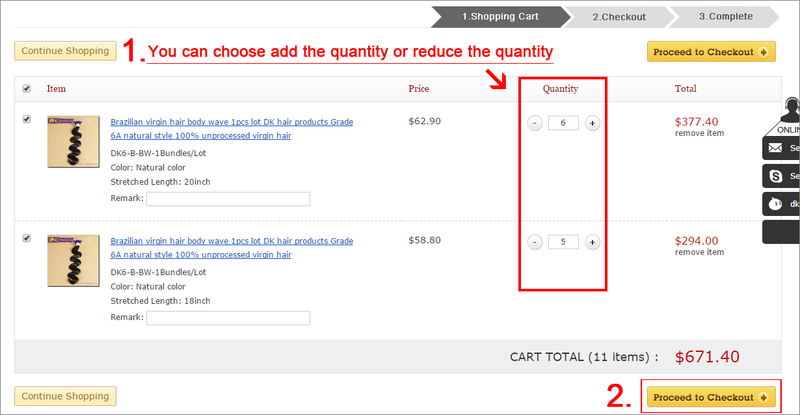 Or click on the upper right corner "Cart", View added to the cart. Cart products have been added to the shopping cart. If pay by paypal payment, please make sure the address you write on here is same with your paypal shipping address, thank you. We accept Paypal,WesternUion,MoneyGram,T/T,BankTransfer on our website. If you want to use Alibaba Secure Payment / Alipay / Escrow,please talk with us,we will arrange it. 2.If you choose WesternUion,MoneyGram,T/T,BankTransfer,you need to pay it through these payment,before you go to do these payment,please keep the receiver's infomations,make sure that everything is right for you to pay. Pay by these payment will get 4% off. 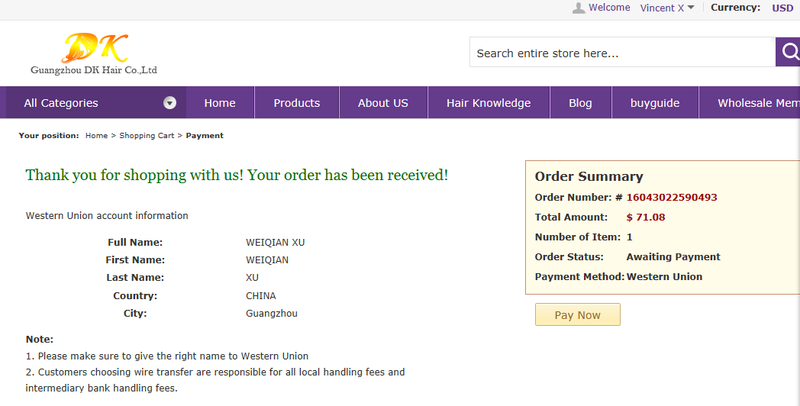 After you done your payment,please find your order in the Website Control Center when you sign in. and complete the payment infomations. After you finished your payment,we will check your payment received or not. 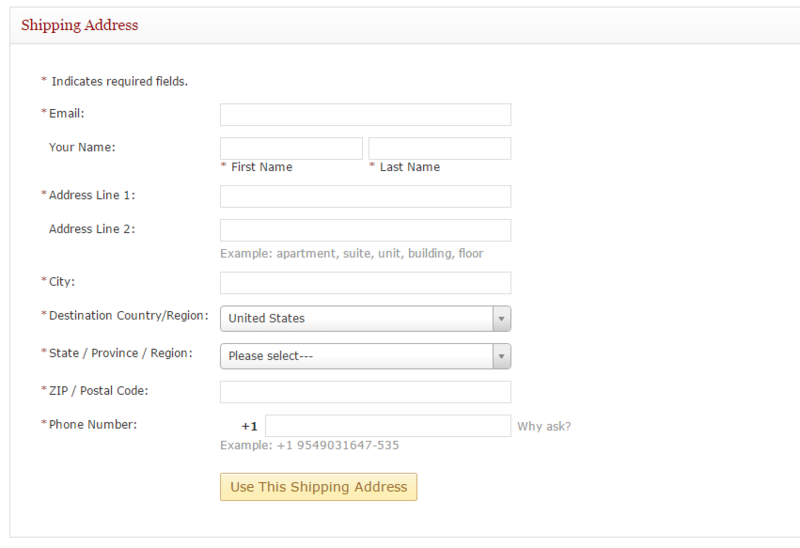 If payment is right,we will send you packages asap. If you payment is not right,we will send you email to tell you. 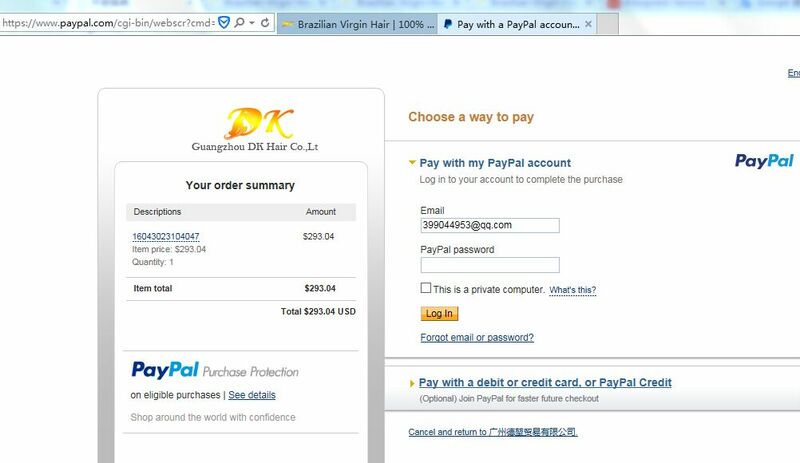 And please make sure to send your payment proof to our email: finance@spykerhair.com,that will help to comfirm your payment quickly. 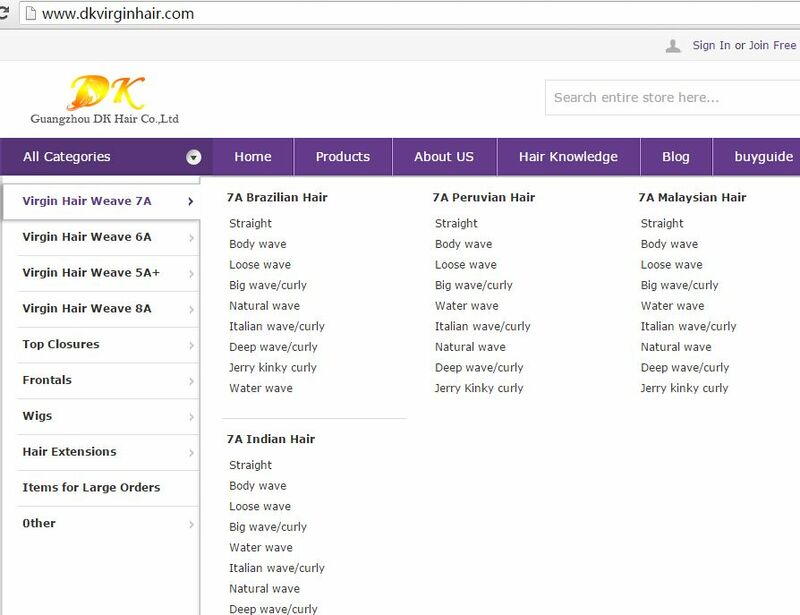 dkvirginhair.com has built up solid partnership with all big four shipping companies: DHL/FedEx/TNT/UPS to provide professional worldwide door-to-door delivery.